Bosch Plena mixer amplifiers are at the heart of the sound setups at the new McDonald’s ‘flagship’ restaurants. These feed LC6-100S-L ceiling-mount speaker systems, which consist of 8-inch subwoofer modules and a crossover network to support four 2-inch satellite speakers, delivering BGM. Bosch designed a configuration of its commercial sound speakers especially for each flagship restaurant using EASE Address. ‘With the acoustic analysis, we customised the sound system for each individual restaurant, to provide nothing but the best sound in each location,’ said one of the designers. 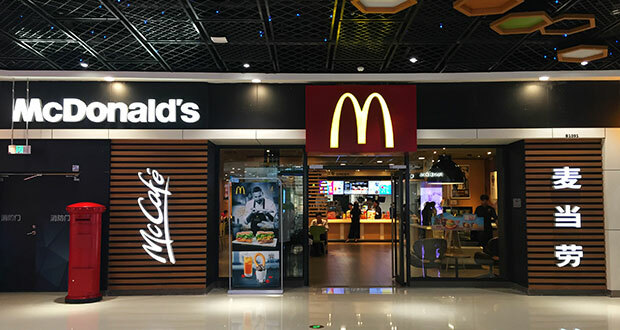 The projects were awarded to Bosch after the manufacturer presented a series of relevant case studies of previous restaurant installations to McDonald’s. Key McDonald’s decision-makers were also invited to the Bosch experience centre to hear the products in action.